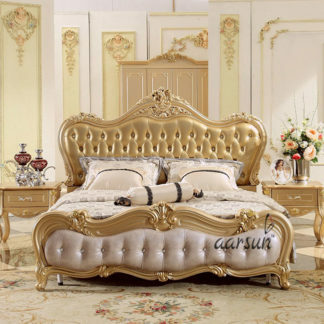 Aarsun woods promotes to you handcrafted wooden bed Frame for home. Take a look through our wide range of wooden beds, available in many styles and sizes. Choose from beds in solid wood like teak / sheesham. We have worked with designers and craftsmen to create a unique line of home furnishings, hand carved from solid hardwoods and molded into exquisite pieces for your homes. Our beds are crafted from beautiful carved panels of Indian teak wood/ sheesham wood. The structure can be created out of Sheesham or Teak wood, and the finish can be selected out of a list that has options like natural, walnut and dark walnut. The rich solid wood texture adds a sophisticated look to your bedroom. We use solid treated and seasoned wood only for our Wooden beds. 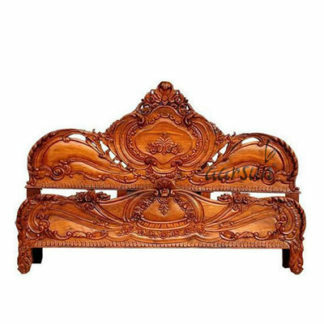 These wooden beds are strong and are available with huge durability. It consist a blend of style. Wood furniture has always impressed householders with a few specific characteristics. They convey a certain can of coziness and proximity to nature. Wooden furniture also has an undisputed charm and brings a specific flair to every interior. 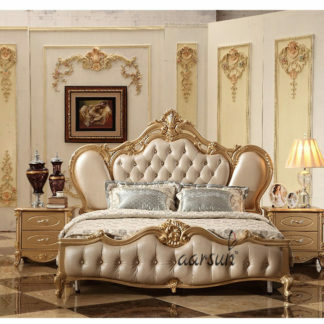 We are entering today the bedroom furniture and the bed has a central role in the design of the sleeping area. We want to focus on the bedroom bed. On the bed design one places a special value. If you love the natural grains of the wood and want that rustic look to be incorporated in your bedroom, bring home Aarsun woods solid wood beds. These beds are available in options such as Sheesham and Teak. 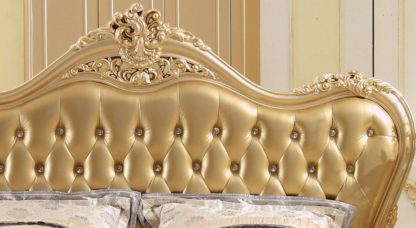 You can also customize the size as well as finish of the bed to blend it as per your home decor. 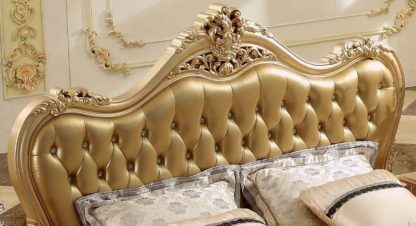 The bed is available in three sizes – single, queen and king. The storage space can also be altered according to your preference. You can option for a no-storage version or go in for drawer storage.